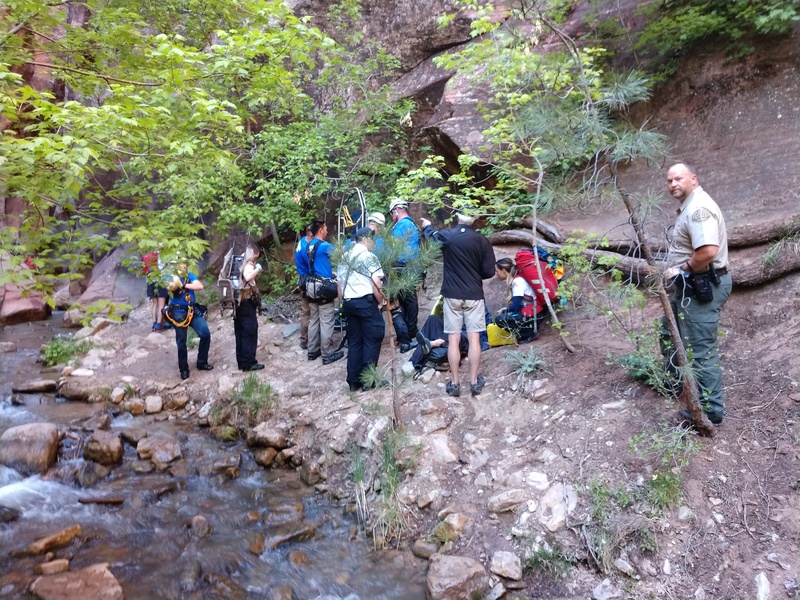 ST. GEORGE — A 64-year-old California woman was rescued after injuring herself while hiking to Kanarra Falls Saturday afternoon. It was the second incident requiring a search and rescue team to be dispatched to the area in less than a month. Iron County Sheriff’s Search and Rescue responded to Saturday’s incident at approximately 4 p.m. on report that the woman may have broken her leg while hiking on the Kanarra Falls hiking trail, according to a news release issued by the Sheriff’s Office. Crews made their way about 2 ½ miles up the trail, which starts on the eastern edge of Kanarraville, through a meandering stream and rocky outcroppings to her location. 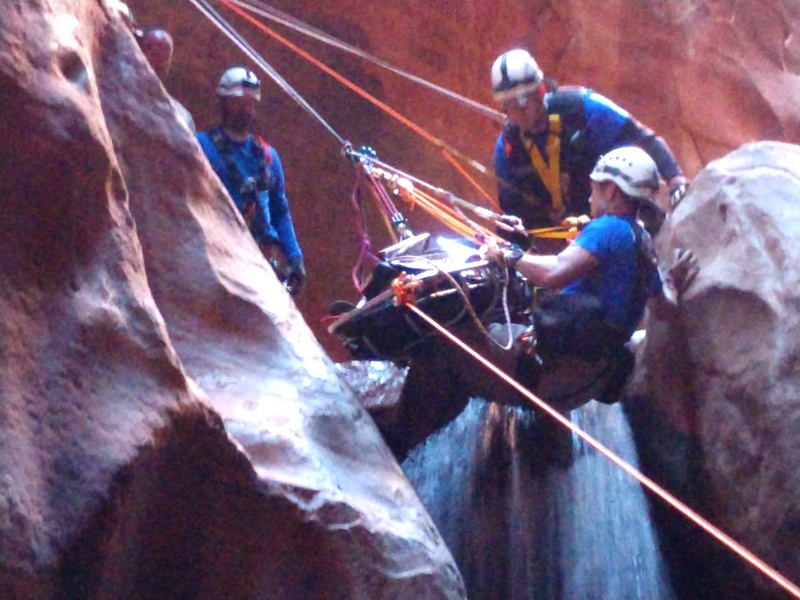 The woman was safely carried out of the canyon in a Stokes basket with assistance from personnel from the Iron County Technical Rescue Team and Gold Cross Ambulance. A similar incident occurred April 16 when a 26-year-old woman slipped and fell two miles from the trailhead. That patient, also believed to have suffered a broken leg, required a similar rescue across steep and slippery sections of the challenging trail. The highly technical rescue involved approximately 25 rescuers and took roughly four hours to complete. A paid permit system to hike the falls was implemented earlier this month to curb the recent influx of hikers to the trail, which follows Kanarra Creek from Kanarraville into a slot canyon that leads to two waterfalls. Read more: Permit system for Kanarra Falls hike starts in May. Here’s how to snag one. While the trail does not require special gear or climbing equipment, parts of the hike can be challenging, and it is not recommended for young children and people with physical limitations. I’ve never done that hike, but that log with the rungs bolted to it looks like a death trap.